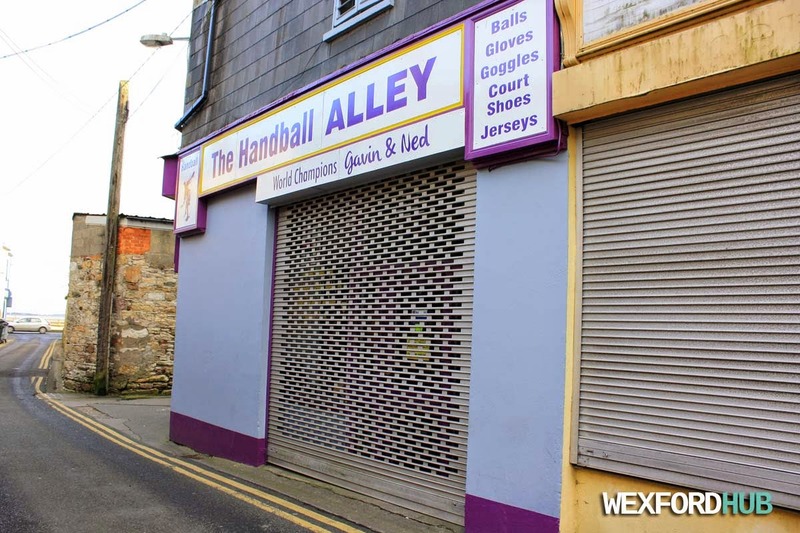 A photograph of The Handball Alley shop in Cinema Lane, Wexford. This is run by Ned and Gavin Buggy. It sells handball-related gear such as balls, gloves, goggles and court shoes. Ned Buggy also used to run a sports shop in Selskar Street called Ned Buggy Sports. This was taken in December of 2014.